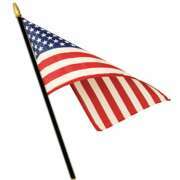 Get your students inspired and show your patriotic pride with an American flag waving proudly in front of your school. Why should you buy an American flag? 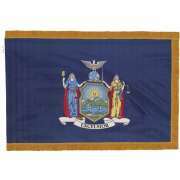 USA flags and state flags don&apos;t just look nice, they also teach important lessons about gratitude, honor and symbols. 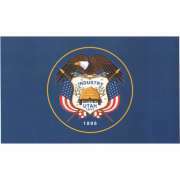 Our flags are made from durable materials that are suited to many different venues. 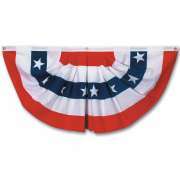 Nylon American flags are great for indoor and outdoor use. 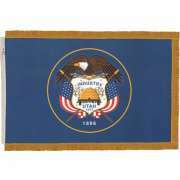 We also have elegant accessories such as tassels and flagpoles, and flags with a fringe that is sewn on. With so many great options, you are sure to find a style that is suited to your space and needs. 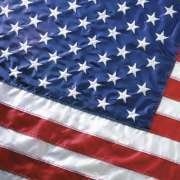 How do I choose the right American flag? Choosing the right us flag depends on where you want to put it and what you plan on using it for. Different materials and configurations are suited to different purposes. 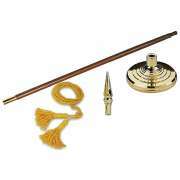 For instance, an American flag with the ceremonial gold fringe, waving on a pole with an eagle on top is probably what you want for your auditorium, conference room or social hall. 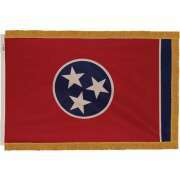 However, a classroom flag will likely be a bit smaller and waving on a simple pole that is mounted to the wall. There are many reasons to get an indoor American flag. In schools and community centers, flags are often needed for ceremonial purposes. Having Old Glory at the front of the room during big events demonstrates patriotism and gives the occasion a more serious feel. The stately eagle and fringe in our presentation set make a flag look truly elegant, appropriate for any classy occasion or venue. What kind of flag is good for the classroom? Whether you are furnishing a pre-k or high school classroom, having American flags waving proudly at the front will really enhance the space. You never know when a flag is going to come in handy. There are the obvious times like when reciting the pledge of allegiance, but an American flag can also be used for US history lessons, discussing the significance of symbols and more. Being a proud American isn&apos;t just for those who wear a uniform, it is a value that can be cultivated at any age. What kind of flag can you hang outside? When you are choosing the us flag that will wave outside of your building day after day, you want to make sure that it will leave a good impression. 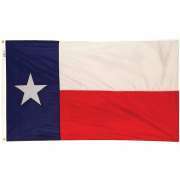 Getting a material that is appropriate for outside is key if you want your flag to wave proudly for the long term. Nylon is the best option for an outdoor American flag. It retains color well, is easy to clean and dry and flies nicely in a gentle breeze. With a nylon USA flag displayed proudly in you courtyard, your institution is sure to make a great first impression. 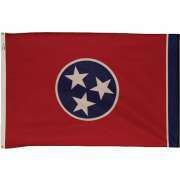 If you are looking for some patriotic outdoor decorations in addition to your US flag, fan flags are a beautiful choice. From the elegantly pleated fabric down to the vibrant red, white and blue design, they bring a good old American charm to any building. 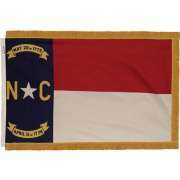 Fan flags are especially appropriate for national holidays such as July 4th, Veterans Day and Memorial Day. 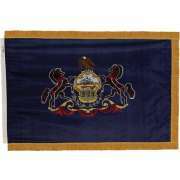 Of course, if you want to be patriotic all year round, they are stately enough for any occasion. What is the POW/MIA flag? 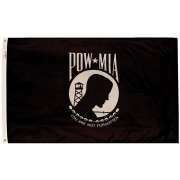 The POW/MIA flag shows concern for prisoners of war and those who are missing in action. By waving the POW/MIA flag, you can demonstrate your solidarity with the US armed forces. 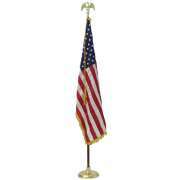 You can fly it right below or next to your American flag all year round, or hoist it up onto the flagpole for occasions when it is particularly appropriate such as Memorial Day, Independence Day and Veterans Day. 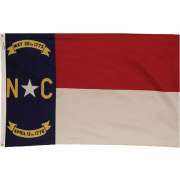 Should I get a state flag? 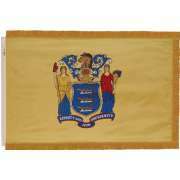 While you might only think of your state when Common Core State Standards come up, there are many reasons to get state flags. 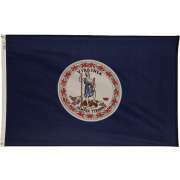 Many schools do have units about state history and having a flag can be a great part of that. Additionally, flags offer a creative way to teach about symbols. 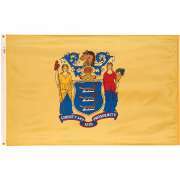 Because US state flags tend to be full of symbolism and meaning, students can learn a lot from studying them and researching all of their different parts. 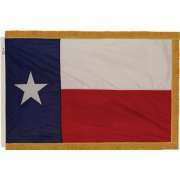 No matter what kind of flag you are looking for, having durable materials and a steadfast design is key. 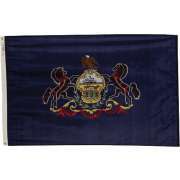 Whether you need a USA flag, POW/MIA flag or state flag, Hertz Furniture has a reliable selection that will look great in your space. Don&apos;t forget to choose some elegant accessories to ensure that whatever flag you choose gets the respect it deserves.